Ruby, a member of the corundum family of gemstones, is mined in several locations around the world including Thailand, Ceylon, Pakistan, Yugoslavia and Malawi. The gems are recovered by washing and screening the ore body and then hand-picking the gem material. Ruby is then hand-cut using flat plate-like disks called "laps". These are covered with diamond particles which cut the facets on the gem. 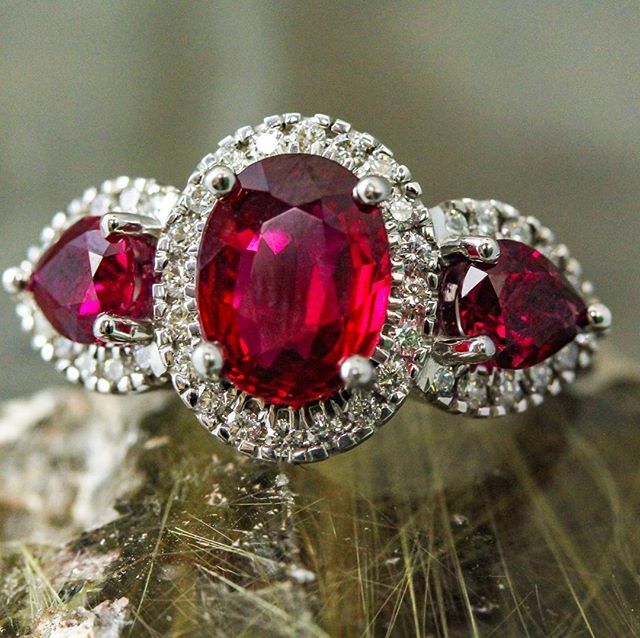 Ruby, known in Hindu and Christian tradition as the "King of Precious Stones" is believed to preserve the physical and mental health of the wearer, as well as removing evil thoughts, lustful desires, and reconciling disputes. Its beauty has been prized throughout the centuries. The Gem Junkies dedicated a podcast episode on the famous red corundum.